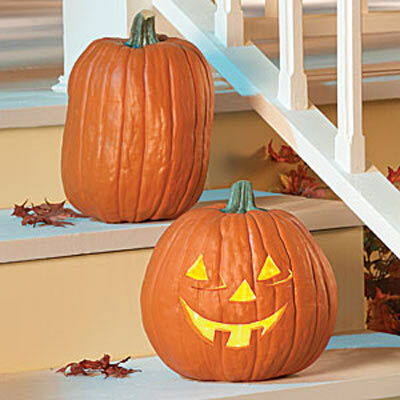 With Halloween around the corner, many of you will be picking up pumpkins for you and your children to carve. Although this is a fun-filled activity for you and your child, there are safety measures that need to be in place before carving the pumpkin. In a few simple steps your child will be experiencing the fun and enjoyment of pumpkin carving. Regardless if you are carving a scary face, or a smiley face, it surely will be something enjoyed by all. There are Halloween carving kits available on the market. Although these kits are better for older children to use, they are still not meant for your younger children. The sharp points of the carving equipment can be hazardous if used in the wrong way. First, allow your child to draw the picture of what they choose on the pumpkin. Use a few sheets of paper so they can practice before hand. Once they have drawn the picture, an adult can carve the hole out of the top of the pumpkin. With your hole carved, your children can now experience the gooey fun of pumpkin carving. Give them a large wooden spoon to scoop out the insides of the pumpkin. Make sure they are in clothing that can get a bit messy. With the insides scooped out, they may be interested in separating the seeds to make pumpkin seeds. Now, an adult can finish carving the pumpkin. When it gets dark outside, light up your pumpkin with a candle and let your children enjoy their creation.